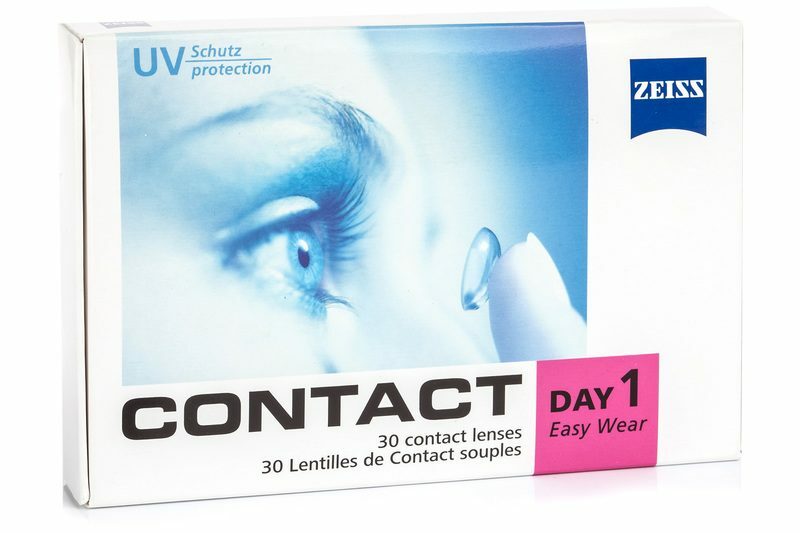 Zeiss Contact Day 1 Easy Wear lenses are soft one-day contact lenses from one of the most popular companies in the optical industry – Zeiss. They are manufactured using a material called Methafilcon A. Because of their high water content, these lenses provide maximum comfort while maintaining excellent visual acuity. Zeiss Contact Day 1 Easy Wear are designed as single-use lenses and therefore do not require any cleaning or maintenance. Deploy them each morning, throw them out each evening. They are intended for everyday use, but are also perfect for casual wear (nightlife, recreation, sport, etc.). The lenses are very resistant to the formation of protein deposits, so the problem does not occur even if worn all day. They are also equipped with a UV filter.